It appears that the liberation of Daraa and neighboring provinces is just a matter of time: on July 5, the Syrian Arab Army (SAA) reached the border with Jordan amid its southern offensive. 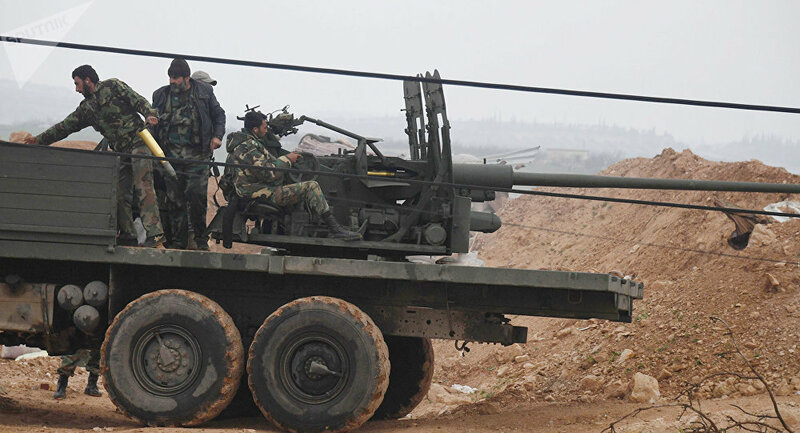 While retreating, Syrian rebel forces are leaving arms and ammunition stockpiles. According to Sputnik sources, members of illegal militant groups in the city of Busra al-Sham (Bosra) started surrendering heavy weapons and hardware to government forces on July 4. Bosra has long been one of the major strongholds of rebels in the south of Syria, being located about 12 miles from the Syrian-Jordanian border. On July 5, Syrian General Izar Ismail told reporters that jihadists had left hundreds of weapons and tons of ammunition, which were collected in the city of Izra, a town in the Daraa governorate. Earlier, Izra was retaken by the SAA's assault units without striking a blow. However, most of the province still remains under the control of the armed opposition and terrorist organizations, including former al-Qaeda* affiliate al-Nusra Front* and Ahrar al-Sham. To the west, the Daraa governorate borders with the Quneitra governorate and the disputed Golan Heights, in the east it abuts the partially liberated province of Essaouira, and in the south it butts up against Jordan. According to Ismail, rebels get weapons, ammunition and reinforcements through the Syria-Jordan border, serving as a transfer point for them. As Sputnik military observer Andrei Kots highlighted in his recent op-ed, the main goal of the SAA's southern offensive is to take the border points under control. "It was partially achieved at the site between the border of the province of Suwayda and the town of Es Summakiyat. And the army obviously does not intend to make a stop there," he noted. On July 6, the SAA took control over the Nasib crossing point on the border with Jordan due to successful negotiations between the Russian center for Syrian reconciliation and rebel leaders. The same day, Abu Shima, the head of the information center of the joint operations command of the opposition in the south of Syria, told Sputnik that some militant groups had struck an agreement with the Russian representatives to implement a ceasefire in the province of Daraa. The Russian center for Syrian reconciliation earlier reported that over the last week, almost 27 settlements in the southern zone of de-escalation in the provinces of Quneitra, Essaouira and Daraa had voluntarily joined the ceasefire regime and come down on the side of the government of the Syrian Arab Republic. Currently, local authorities are resuming work in these settlements, making preparations for the restoration of social infrastructure. Humanitarian aid is also being delivered there. While the Syrian government forces' advance is going on, the Russian center for Syrian reconciliation is supervising the establishment of humanitarian corridors for civilians fleeing the military theater. "Over the past day, about 5 thousand Syrians have left the Western part of the South-Western de-escalation zone, controlled by terrorists, through the humanitarian corridor organized with the assistance of the Russian Center for Reconciliation near the village of Kaffer-Shams. In just a week, about 35 thousand people went to the area, controlled by the Syrian government," the Russian Ministry of Defense reported on July 6. The Defense Ministry's report emphasized a deplorable humanitarian situation in the areas controlled by terrorists due to "the constant fight between the illegal groups for influence and control over food." "The local population suffers from a critical shortage of food, water and medicines," the report highlighted. 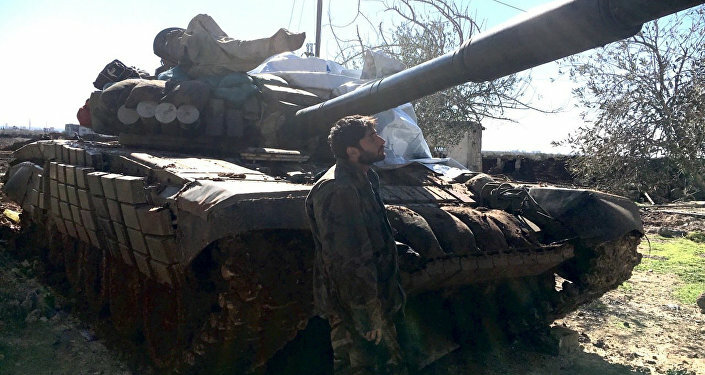 According to Kots, the liberation of Daraa is unlikely to bring an end to the seven-year long conflict, as the province of Idlib still remains under control of terrorists. According to some estimates, about 30,000 jihadi fighters are located there. It was reported in March 2018 that Hayat Tahrir Al-Sham — an umbrella terrorist organization which includes al-Nusra Front* — and Jabhat Tahrir Suriyah had come into direct conflict with each over influence in the region. Kots believes that Idlib could become the next destination for Syrian government forces. Besides, Damascus has yet to regain control over its northern region that is being held by the US-backed Kurdish People's Protection Units (YPG), the backbone of the Syrian Democratic Forces (SDF). It has been repeatedly reported that the US is beefing up its presence in the north by establishing bases there. According to the military observer, it is unlikely that Damascus will resort to the use of force in northern Syria. "It is more probable that the Syrian war will continue through diplomatic means," he presumed. *Al-Qaeda, and al-Nusra Front are terrorist groups banned in Russia.